Spanish National Ports Agency (OPPE) is responsible for the coordination of the project. There are some technical, economical and environmental issues that influence the implementation of onshore power supply to ships. 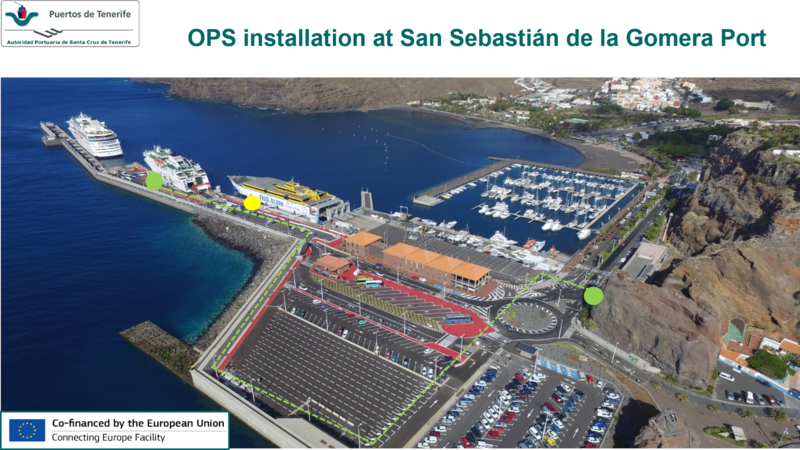 Four working groups that belong to three Spanish universities, members of the consortium, are carrying out various studies to help improve the design of OPS implementation projects in Spanish ports. 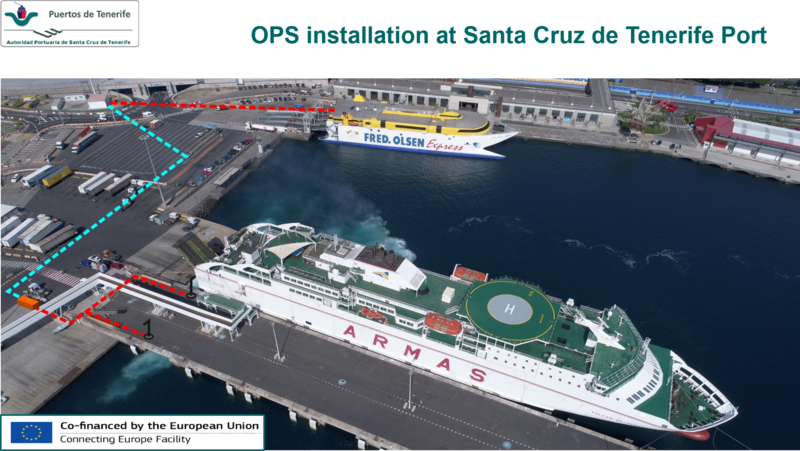 The Center for Automation and Robotics (CAR, which belongs to UPM and CSIC), is designing a remotely controlled cable handling system for the electric connection between the quay and the ship. School of Industrial Engineering (ESTII-UPM) is conducting a study on OPS potential benefits for the national electric grid itself. A first exploration of the impact of the fluctuating power injected by an energy converter on the distribution grid voltage and of possible strategies for mitigating the induced voltage fluctuations is presented here. Furthermore, OPPE is studying the current legal framework in Spain. The aim is to identify technical and economic barriers that impede OPS implementation, and to propose solutions to minimize or eliminate them. The documents corresponding to these transversal studies can be downloaded here. Port Authority of Tenerife (APT) has approved projects for the implementation of OPS in Santa Cruz de Tenerife, Santa Cruz de La Palma and San Sebastián de La Gomera , where there has generated great expectation in the neighbors inhabitants of the ports with regard to the reduction of the noise from ships. Fred Olsen, a company member of the consortium, plans to connect its ships to these facilities. 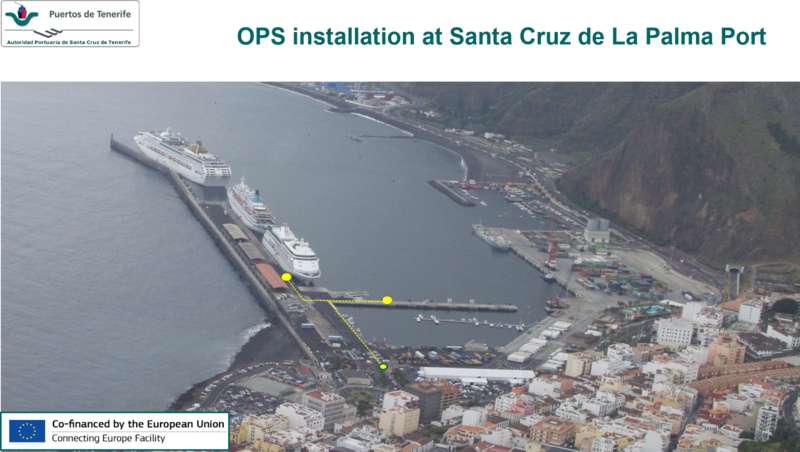 Meanwhile, the Port Authority of Las Palmas (APLP), which also integrates the consortium, may also supply power at berth to these vessels. 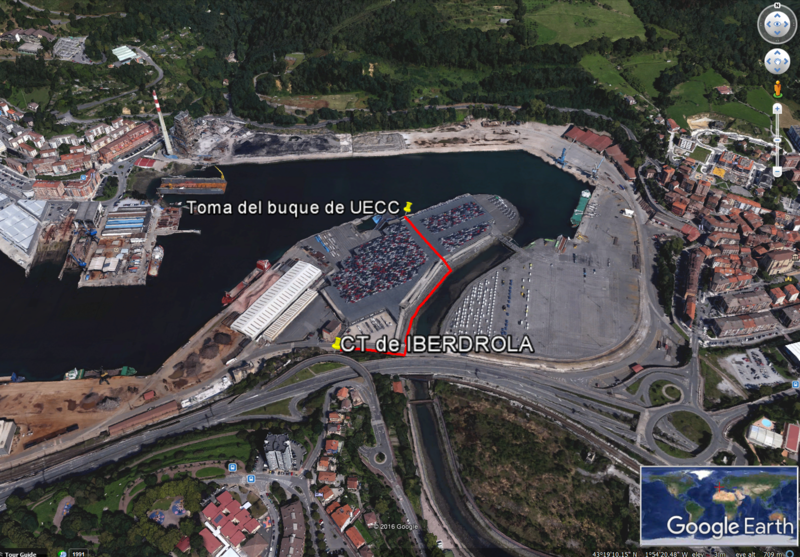 Port Authority of Pasaia (APP), associated to the consortium, will offer power supply at its ro-ro vehicles specialized berth, and has already requested the electrical connection to the Iberdrola company supplying the area. The APP – together with the UECC shipping line whose vessels will be connected in Pasaia – has established the design requirements of the cable handling equipment that will supply the electric power. The supply will be at 60 Hz and 6.6 kV. Balearic Port Authority (APB) together with Port Authority of Barcelona, will offer power supply in two berths in Palma de Mallorca and Barcelona ports respectivily to the DIMONIOS ship, belonging to ACCIONA-TRANSMEDITERRANEA. The supply will also be at 60 Hz and 6.6 kV. The electro-mechanical equipment will be supplied by ENDESA, the company which is the electrical distributor in both locations. The detail of the previous actions will be accessible here. Spanish National Ports Agency (OPPE) will propose, based on the proposal of the companies Inova, Ghenova and Seaplace, a Master Plan that will include the points of connection for the supply of electric power to ships in berths with greater interest. The Plan will be a compendium of feasibility studies in various ports/docks. The results of the work carried out in this activity can be consulted here. At last, OPPE together with Marine Traffic company, has developed a project Dissemination Plan to make known the benefits of implementing this energy supply system for society and the environment: the activities carried out and the results obtained.